Wed., Dec. 1, 2010, 1:59 p.m.
SNOWMOBILING -- The snowmobiling closure in the woodland caribou recovery zone along the crest of the Selkirk Mountains will be enforced this winter, the U.S. Fish and Wildlife Service said in a press release issued this afternoon. A free map of legal snowmobiling trails is available at Colville National Forest and Idaho Panhandle National Forests offices. The caribou, listed as endangered in 1984, are protected under the Endangered Species Act. Their potential habitat also is protected. 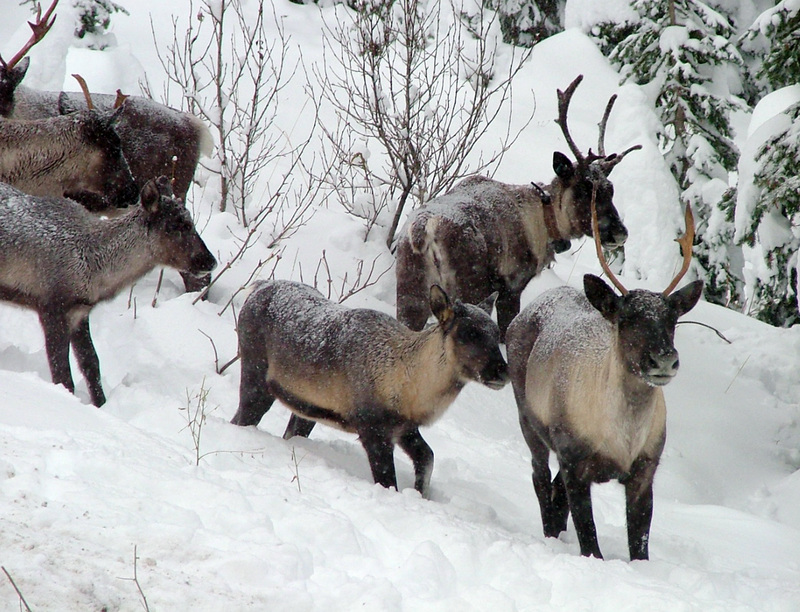 Only 50 or fewer of the caribou remain in Eastern Washington, North Idaho and southeastern British Columbia. During the winter, the caribou feed primarily on lichens hanging from trees above snowline. The snowmobiling closure seeks to minimize disturbance to the caribou and avoid creating travel lanes that encourage lowland predators to reach the high country where the caribou roam. The snowmobiling restrictions, which have been in place since 2007, will be enforced by federal agencies as well as state fish and wildlife agencies.